There was much anticipation over the latest Star Wars movie because of the long awaited re-introduction of Luke Skywalker portrayed by Mark Hamill. It also marked the last film made by Carrie Fisher as General Leia Organa who passed on in 2016. I am glad that the writers did not write her character off during the film. The interaction between Luke Skywalker and Princess Leia brought back memories of the past Star Wars instalments which will leave fans satisfied and to tie up loose ends of the characters’ story arcs. The film has its strong points as it brings back many characters both old and new in the Star Wars trilogy especially the Resistance and the Jedi order. The film kicks off with the usual iconic opening credits and ever familiar Star Wars theme song. We see the antagonist of the film, the First Order threaten to destroy the dwindling Resistance fighters which is led by General Leia Organa. The battle scenes are memorable with good and bad fighting to take over each other. Luke Skywalker, Rey and Kylo Ren are the main characters that the film focuses on and they have the most character development in the film. We get to see the Rey harness the power of the force under Luke’s guidance. Another awesome moment is when we see Luke’s struggle and resolve of not turning to the dark side. We see him getting guidance from a surprise mentor in the form of Yoda as a force ghost where he tells Luke that failure will lead him to success in helping Rey hone her Jedi powers and to let go of the past of not being able to save Kylo Ren from the dark side. However, the film has instances where the storyline of the character could be much stronger and fluid such as the demise of Supreme Leader Snoke was too abrupt. It would have enhanced the scene better if he did do battle with Rey and Kylo before meeting his end. This missing aspect proved to capitalise on what would be a memorable conclusion to Snoke’s character. Some of the scenes were felt slightly dragged out but credit goes to the cinematography which is breath-taking. 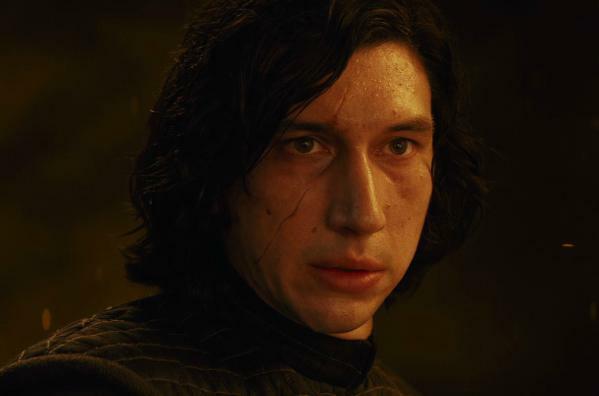 I hope to see Kylo Ren go further into the dark side in the upcoming sequel next year as there are hints in the film where he may embrace the title of being the next Darth Vader. The next sequel might address the on-going conflict of the Jedi and Sith, hopefully there is a re-establishment of the Jedi order with Rey at the helm of it and the introduction of new enemy forces to keep the franchise moving forward. Director Rian Johnson does a great job of flushing out the characters’ story development and interaction, and some scenes look straight out of a Star Wars game. The soundtrack and minor characters such as C-3PO, the Porgs, Chewbacca and even BB-8 all added up to the overall light heartedness of the flow of the film with their animated banter. The film has consistency, but with more action scenes, it would be more action packed and sit well with Star Wars fans who love lightsabre duels more than just space battles. There is so much planets and storyline of Rey and Kylo Ren that are left to explore and these need to be addressed in the upcoming sequel next year. May the Force Be with You!